This page is written as part of my PhD studies. As it was the case during the year, events in Ukraine were at the center of media attention, on a number of occasions. First, in the days preceding the end of martial law in Ukraine (on December 26), Russian media was mulling on prospects of possible provocations on the border between Ukraine and self-proclaimed republics of Donetzk and Luhansk that would lead to a resumption of war. President Poroshenko was harshly criticized for this policy and accused of trying to thwart the democratic elections in Ukraine. After Ukraine’s decision to cease the martial law the tensions subsided, but many experts still estimated that Poroshenko can use provocations before the elections to improve his chances of reelection. It should be mentioned that the UN resolution against militarization of Crimea peninsula (December 18) was received in Russia with disappointment, especially the unfriendly vote of countries that are close politically to Russia and were expected to support its position. Another reason for Russian condemnations was the split of the Russian orthodox church in Ukraine – the decision of Ukrainian authorities to established autocephalous orthodox church, independent from the Moscow patriarchate. The criticism was pointed not only against Ukrainian government – in fact, according to Russian position, the idea to split the Russian church belongs to the USA who encouraged and facilitated it. Official Russian representatives, including President Putin’s spokesperson, accused USA inmeddling in church affairs and violating centuries-old structure of Orthodox churches. In this context, it should be noted that prominent experts on Russian state TV assert that Ukraine is not an independent country as Washington dictates its anti-Russian policies. The general tonality in reporting and discussing situation in Ukraine is the same: the Ukrainian regime is close to neo-Nazi groups and supported by the West exactly like Nazi Germany was in the 1930s. Representatives of Russian government highlighted success of the Russian involvement in Syria, that became even more prominent due to President Trump’s announcement to withdraw American troops from the country. Spokesperson of the Russian Foreign Ministry, Maria Zakharova, explained in the interview to Bolshaya Igra, that Russia’s successes in Syria and elsewhere were received with great anxiety in the West that responded with Scripal’s affair and other baseless accusations of Russia. She unveiled the hypocrisy of the US when it arrested Maria Butina, as well as its silence in the case of Russian journalist Kirill Vyshinsky who is jailed in Ukraine. And yet despite the anti-Russian sentiments among Western political elite, the state media asserted that 2018 was a successful year, not only in Syria. President Putin was reelected in 2018 with overwhelming majority (77%), the bridge to Crimea peninsula was inaugurated breaking the Ukrainian blockade, and the organization of the World Cup in Russia was hailed as a triumph for the country. Last but not least, Russian military and geopolitical experts took pride in a successful testing of a new Russianhypersonic missile “Avangard” on December 28. President Putin’s announcement from the beginning of 2018 about the new weapon was now confirmed by the test, and according to some experts, it “ensures Russia’s security for the next 2-3 decades”. On December 20, President Putin held his 14th annual press conference. About 1700 Russian and foreign journalists were accredited to participate in this mega-event that lasted 4 hours. The conference became an end-of-the-year tradition set by the President where he responds to a broad range of questions. Hosts on state channel praised Putin for his openness to journalists and readiness to answer all the questions, including form opposition and foreign journalists. Unlike leaders of USA, Canada or Germany, Russian President is accessible to the media, and while western countries create obstacles for Russian news organizations, like Russia Today, foreign journalists can work in Russia. For many journalists and hosts the major message of the President regarding the domestic situation was a need in a “technological breakthrough” which will allow Russia to join the most advanced economies in the world. Results of public opinion pollconducted by Levada-center on the attitudes towards Soviet Union were widely reported and discussed by media, both state and independent. 66% of surveyed expressed feeling of regret about the dissolution of USSR, the highest number in the last 10 years. Among the major reasons for this nostalgia, majority of respondents mentioned the loss of a unified economic system and of “belonging to a great power”, and higher levels of social mistrust and bitterness. Hosts and experts who analyzed the results pointed to a lack of social justice as a principal source of this nostalgia in today’s Russia. State TV channels highlighted the idea that collapse of the Soviet Union was not inevitable and accused the Soviet leadership, mainly Mikhail Gorbachov, for betraying interests of the country. At the same time, state TV channels continued debating what is the best model for Russia’s future. The approach that is promoted by major TV hosts is that Russia should develop its own system, based on Russian traditional values, where strong central authority and charismatic personality of the leader of the country are of highest importance. Russia also needs ideology which will foster stronger social cohesiveness, where collectivism and support of the state should have higher standing than individual rights. By contrast, democratic model completely failed and doesn’t express the will of the people, as could be seen in Brexit situation and other referendums where the will of the people was not respected. Forecast for 2019… or 2024? Independent media, unlike state TV channels, asked multiple experts to discuss possible scenarios for the Russianpolitical system in the near future. There is a wide consensus among independent experts that major concern of the Kremlin is ensuring President’s rule after the end of his second term in 2024. Even though he was just recently reelected, the dilemma of preservation of power beyond 2024, according to them, is already perceived in acute terms. 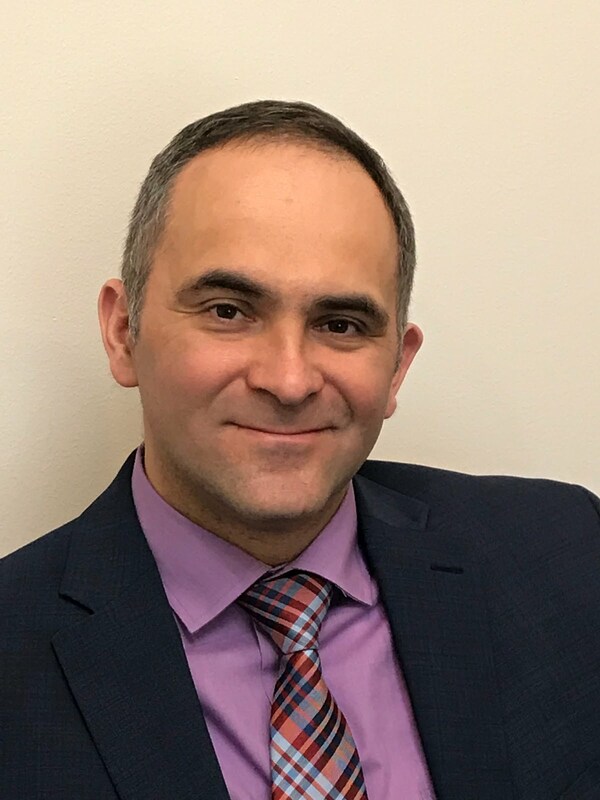 A renewed discussion of making amendments to the Russian constitution that was launched by the President of Russia’s constitutional court and Russian Prime Minister, are but one indication of reflections taking place in power echelons. Among the different options thatcould be considered by the Kremlin, according to these pundits are: amending constitution that will allow president to stay more than two terms; a possible switch between President and prime Minister like one that happened between Putin and Medvedev; creating a new, Union state, for example with Belarus, and election of the President of this new state. For 2019, independent experts predict preservation of the current trends in economics, in domestic and foreign policy. The price of oil and gas will be fluctuating, but on lower levels than in the past, around 50$ per barrel. 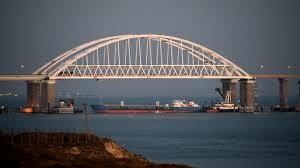 International sanctions will not allow Russian economy to grow more than 1.5% a year. All these factors would impede the “technological breakthrough” from happening. United Russia party, the ruling party, will be suffering from decreasing popular support, and the next tour of regional elections in September can once again eliminate Kremlin’s candidates in favor of those from other political parties. On international arena, Russia will continue to assert itself as a superpower and will expand its influence in the Middle East and beyond. Ukraine: expectations of imminent war? In the very rich media agenda of the last days, situation in Ukraine is, by far, the most reported and discussed story in Russia. It shouldn’t surprise anyone who follows the aggravating rhetoric between the leaders of the two countries that accuse each other of instigating war against the neighbor. As one of the TV hosts said, Ukrainian leadership is pushing the two countries, Ukraine and Russia to a “fratricidal war”. State TV channels dedicated their prime-time political talk shows to a perspective of a war between Ukraine and pro-Russian republics in Eastern Ukraine, DNR and LNR, and with Russia itself. There are reports about concentration of Ukrainian troops in south-east of Ukraine, close to the sea port of Mariupol, and simultaneously, offensive plans of Ukrainian military are exposed to the public. Russian Ministry of Foreign Affairs issued warning of a possible provocation of the Ukrainian military against the self-proclaimed republics, while official representatives of those republics announced that the upcoming Ukrainian provocation could include use of chemical weapons (intentional explosion of chemical products plant in Mariupol). Russian experts discuss the interview of the President Poroshenko on Fox News, when he accused president Putin of unleashing war against Ukraine. Poroshenko himself is being called out in media by the most derogatory and vicious names: from a war criminal that should be put on trial, to a maniacal and deranged personality that should be removed from power. He is accused of inciting anti-Russian hatred and being an instrument at the hands of the West and the USA against Russia. Ukrainian regime is labeled as neo-Nazi and constantly compared to a Nazi regime in Germany – both, according to Russian experts, were encouraged by Western countries to fight Russia. Decision by the Lvov district government to define year 2019 as the year of Stepan Bandera is presented in the media as another proof of the neo-Nazi nature of the regime, while governments of Poland and Israel are criticized for soft and belated reactions to dangerous developments in Ukraine. Russian media continued to report about the blatant pressure on the Ukrainian Orthodox church of the Moscow patriarchate from the Ukrainian authorities who seek to split it and allow establishment of an independent Ukrainian church. Ukrainian government is accused of interfering in church affairs and violation of religious freedom. The Unification council of the new Ukrainian church is scheduled to take place on December 15, in Kiev, and is already described by many experts as a catastrophe of historical proportions. Crisis of the Western democracy: is it the beginning of the end? Russian media reported extensively about the Yellow vests movement in France and scenes of violence and chaos in Paris. The non-confidence vote on Theresa May government was also reported by the media, and was discussed by state Tv channels, including mocking comments from some TV hosts against the British PM who is known for its supposedly anti-Russian position. The prospects of the impeachment of US president aired by American media and by Donald Trump himself, provided ample material for Russian TV hosts and experts to discuss a possible, and to some of them inevitable, collapse of the liberal democracy, both economically and politically. Experts on state TV channels agree that economic model of the welfare state, the institutions of democratic government and public confidence in political leaders in the West are in constant decline. In analyzing the Yellow vests movement in France, Russian pundits point to the violence of the French police against the protesters and accuse Western countries of double standards towards Russia in dealing with social and political unrest. There were also parallels drawn between the Ukrainian revolution and protests in France: 4 years ago, European countries sided with violent fascist movements in Ukraine, falsely named “revolution of dignity”, who carried out illegal coup d’état. Now it has boomeranged them in the form of extremely violent protests disrupting French cities. Major political talk shows on state TV channels continue to dedicate long hours to discussions of the Russian history and its reassessment (see in previous reports). It should be noted that some of the experts periodically invited to these debates are controversial figures, like Alexander Prokhanov, editor-in-chief of ultra-nationalist newspaper. The pro-capitalist choice of a new Russia in the early 90s is being harshly criticized by many experts, and some of them call Mikhail Gorbachov and his team “traitors”. Also, positive references to Lenin and Stalin as important, even if controversial figures, in Russian history has become a common place, if not the norm, among the most influential TV hosts on state channels. Some of them also allude to Marxism as a valid theory of modern capitalism that was unjustly forgotten. As part of this trend of rethinking country’s past, state media covered very thorough a nation-wide project to rename Russian airports after historic heroes and famous people of the country. The initiative of several civil society groups became a national project called “Great Names of Russia”, endorsed by the government. Russian government officials acclaimed the project as the celebration of Russian history and its national heroes. The debates on the names to be given to local airports began in early October and lasted two months, with more than 5 million Russian citizens who voted electronically to choose the names. It should be noted that non-state and independent media characterized the project as distraction project by the authorities in the context of unpopular pension age reform and the lowest approval rating for President Putin in the last 6 years. Russian rap - threat of political censorship? Independent and non-state media reported about the arrest of Russian rapper Husky in the context of the growing threat of politically motivated censorship. Husky was arrested after his concert was cancelled in Krasnodar (southern Russia) and he started to perform his songs on a car roof. He was sentenced for 12 days arrest, however was released earlier and the sentence reversed, in the wake of popular pressure and vocal support from other rappers and their fans. The rappers community also announced a mega-concert of support for Husky and for freedom of art expression. According to independent TV channel Dozd’, the order to reverse the sentence against the rapper came from the Kremlin who was not interested in alienating rapper fans, as rap has become one of the most popular music styles among Russian youth. However, other rap concerts were also cancelled in the last few weeks – the reason for it being a concernof the authorities that rap music has “bad” influence on younger generation and could generate radical ideas and attitudes, like the terrorist attack by 18-year old anarchist against FSB office in Archangelsk (November 29) and Kerchschool mass shooting in October 2018. 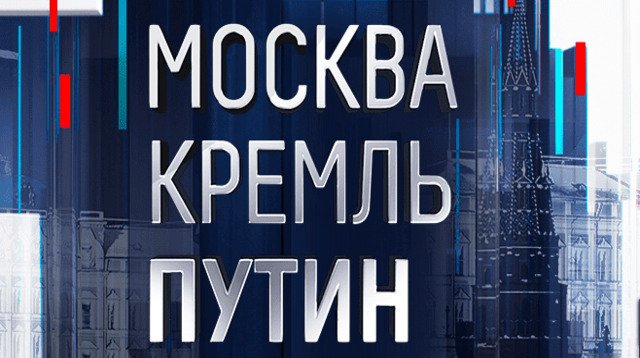 This is new TV show hosted by Vladimir Solovyov, one of the more influential personalities of Russian media. Solovyov is hosting the daily political show “Evening with Vladimir Solovyov” on Rossia channel. The new program that started in September enjoys from close and exclusive access to president Putin, his spokesman Dmitry Peskov, and other members of the President’s Administration. The proclaimed purpose of the show is to present President Putin and his work from more personal perspective and in a less formal, even entertaining, manner. President Putin is shown both as a dynamic and thoughtful leader who represents Russian interests abroad – at APEC, at G-20 or at the summit of Eurasian economic council, and as a compassionate individual who deeply cares about ordinary citizens and takes time from his busy schedule to meet and talk to them in person, as well as make happen wishes of children in acute medical conditions. As it could be easily seen in my previous reports, the Russian media have hardened their tone in Ukraine coverage over the last months. Also, in the days preceding the incident in the Kerch straits, news reports and talk shows on Russian state TV stations dealt extensively, if not exclusively with the situation in the neighbor country. The occasion for these discussions was the celebration in Ukraine of 5th anniversary of the “revolution of dignity”, or Euromaidan – which for most of the Russian experts was one of the greatest disasters that happened to this nation and its relations with Russia. Most of the speakers, except for a few Ukrainian pundits invited regularly to Russian political shows, characterized the current state of affairs in Ukraine as catastrophic, its political elite and elected officials as “clowns”, and its President as a puppet of the West unable to conduct independent policy. The incident in the Kerch strait when three Ukrainian vessels were captured by Russian Federal Security Service (FSB) during an alleged attempt to pass through the strait, has triggered an immediate and virulent media response in Russia, with exception of non-state press. It is worth mentioning that a public statement by President Putin came only 3 days after the incident. State TV channels have accused Ukrainian president of a deliberate provocation against Russia and suggested two explanations of Poroshenko’s motives. According to them, first, internal objective was to manipulate the upcoming Presidential elections in Ukraine: a few hours after the incident Poroshenko declared martial law in Ukraine which could jeopardize free and democratic elections. Even though the Ukrainian Parliament limited the application of martial law to 10 out of 27 regions in Ukraine and shortened its duration from 60 to 30 days, Russian experts fear that now Poroshenko “can do whatever he wants”. Second objective was geopolitical: Ukrainian President desperately tried to attract the attention of his western allies to Russia’s aggression against his country. Trump-Putin summit in Argentina: no event? A cautious and balanced first reaction of President Trump and of European countries to the incident was presented as a clear failure of the Ukrainian government in achieving western political support. Many experts emphasized the fatigue of the West with Russia-Ukraine conflict and their dissatisfaction with Ukraine’s actions, reflective, in their eyes, of President Trump willingness to continue dialogue with Russia. Since the celebration of the end of WWI in Paris two weeks ago, Russian media repeatedly strengthened the importance of this upcoming meeting and urgent topics to be discussed between the countries, first and foremost, INF treaty and situation in Syria. It should be mentioned that many experts expressed their hope that the meeting will finally take place during G-20 in Buenos Aires, and President’s Trump tweet yesterday on his decision to cancel the meeting was received with palpable disappointment in Russia. Some experts pointed to disaccords in US administration on Russia, and one of the more prominent among them, Vyacheslav Nikonov mentioned the “deep state” in America that is traditionally anti-Russian. An assessment that Ukraine intentionally escalated the situation a few days before the planned Trump-Putin summit in order to bring to its cancellation is shared by many in Russia. One of the recurrent topics in Russian media is an unprecedented level of Russophobia in the USA, even when compared to the Cold War period. One of the popular political talk shows, “Bolshaya Igra” (‘Big game’) of the First channel, invited two American experts, Professor Stephen Cohen from Princeton University, and Katrina Vanden Heuvel, the editor of “The Nation” news website. Together with other experts they expressed their concern of anti-Russian mainstream views in American political and media elite. Opposite views don’t have an equal access to the media and experts, like Cohen himself, who express them are immediately being accused of being Russian puppets. Among the reasons for American liberal elite’s negative attitude towards Russia, according to the panel of experts, are Putin’s personal image as a strongman nationalist; the fact that Russia became a symbol of America’s declining role in the world; and liberal elite’s hatred of President Trump whose image is associated with Putin’s because of his admiration of Russian leader and claims for possible collusion. alleviate Butina’s “inhumane” detention conditions. Presidential elections in Georgia were also discussed in Russian media, through the prism of its impact on Georgia’s relations with Russia. The cautious assessment of commentators and TV hosts is that the new President, Salome Zurabishvili will stick to a traditional pro-Western orientation of her country, but at the same will avoid provocations and open confrontation with Russia that could have been expected from some other presidential candidates. The situation in Ukraine persists to be one of the most central topics in Russian media. Beyond the news reporting, it is the political talk shows on the state channels that amplify enormously the coverage of Ukraine. Thus, the ambition of the Ukrainian government to create Ukrainian Orthodox Church (that should become independent from the Russian Patriarchate, according to the Ukrainian government) drew harsh comments from Russian officials, experts and TV hosts in the talk shows “Evening with Vladimir Solovyov” on RTR, “Big game” (‘Bolshaya Igra’) and “Vremya pokazhet” (‘Time will tell’) on First Channel. Refusal of the Ukrainian Orthodox Church to accept this plan as well as unwillingness of the Ukrainian president Poroshenko to meet with their representatives were presented as another proof of failure of Ukrainian government. Elections in self-proclaimed republics of Donbass and Luhansk organized on November 11 (and condemned by the Unites States and EU) were hailed by the Russian media as an important step in preventing power vacuum in these republics after assassination of Alexander Zakharchenko, the leader of the Donetsk People's Republic (DNR) on August 31, 2018. According to Russian media, the elections were hold in democratic and well-ordered way and did not contradict the Minsk agreement. By contrast, the situation in Ukraine was characterized by the state media as one of chaos and humanitarian catastrophe. For example, media reported on “gas riots” in Ukraine caused by shortage in fuel in face of the coming winter season. The host of one of the most influential political talk shows, Vladimir Solovyov, openly called the Ukrainian government “Nazi regime”, continuing this line of accusation already mentioned in my previous report. While distinguishing between the “brotherly” Ukrainian people and the Ukrainian regime, state media virulently attacks the policies of Ukrainian government and President Poroshenko personally. The words that can best describe the attitude of Russian state media towards Ukrainian government are disgust, repulsion and nausea, the same kind of rhetoric that characterized the period of Euro Maidan (2013-2014). Mid-term elections in the United States were covered by all Russian media outlets, meticulously explaining its results, potential consequences for US policies, as well as a growing political polarization of American society. While the political struggle between president Trump and democrats generated some condescending remarks among a few commentators, the bottom line for many experts is clear – the US international politics will not dramatically change. The state media drew multiple comparisons between Russiansuccessful diplomacy and weakening of American global leadership. For example, participation of the Russian president at ASEAN summit in Singapore and the absence of the American President (US was represented there by VP Pence) was a clear demonstration, from their point of view, of the new trend in the world politics where USA is losing its leading role. Also, many commentators on state TV channels accused US of an attempt to drive a wedge between Russian and China by intimidating Russia with possible economic takeover by China. The US vote against the UN resolution condemning the glorification of Nazism was shown as another proof of immorality of American foreign policy. Ukraine and the US were the only countries who voted against the declaration, which explains, according to Russian state media, American support for Ukrainian “сriminal” regime. If commemoration ceremony in Paris dedicated to the end of WWI was covered by local media, it was more interested in other aspects of this gathering. First, Russian media repeatedly reported that the US and Russian presidents didn’t hold a meeting in Paris at the request of the hosting country who e feared that their meeting will draw all the attention at the expense of a memorial ceremony. Second, it was the political fallout of the event in form of Trump’s tweets against French president and the tensionsbetween US and Europe on the question of independent European army. Russian media presents transatlantic tensions as an opportunity for Russian Federation to strengthen relations with Europe. Through this prism are also seen the American attempts to prevent from a Russian Nord Stream 2 gas pipeline project to reach EU countries, a project which will be beneficial to the Europeans, according to Russian pundits. Though the general tone of coverage is negative, it is important to mention that a short (10 minute) conversation between Putin and Pence in Singapore was reported more extensively than all other meetings of Russian president in ASEAN. Also, commentators and official representatives, including Kremlin’s spokesperson Dmitry Peskov, stressed the importance of a possible Putin-Trump meeting at G-20 summit in Argentina. According to them, among the issues to be discussed at the meeting are the US withdrawal from INF treaty, situation in Syria and Ukraine, and sanctions against Iran. While state channels dedicate much time to international developments, non-state and liberal media report and discuss internal situation in Russia (see for example Moskovskiy Komsomoletz). Gubernatorial elections in 23 of the Russian regions that started in September 2018 and went on through second rounds of voting in November, exposed serious opposition in 4 regions (Primorye, Vladimir oblast’, Khabarovsk region and Khakassia) to candidates “parashuting” by the central government. In these regions the candidates from opposition parties – Liberal Democratic party of Russia (LDPR) and Communist party of Russian Federation (CPRF) - gained massive support of the population. Both LDPR and CPRF are considered loyal opposition and no major political change is expected to follow. However, analysts qualified this situation as crisis between the central government and the regions, where local population chose protest voting against any central government candidates. The discontent of the population, according to this explanation, was generated by the decision to raise the age of retreat in July and a general socio-economic situation in Russia. (More detailed analysis of regional elections will appear in a separate post later this month). Speaking of economic conditions, the non-state media followed closely the falling prices of oil and its impact on Russian economy based on energy sector. The state media also discussed some internal challenges, among them the malfunctioning of bureaucratic apparatus. State TV channels tend to accuse local authorities and expose their incompetence, lack of professionalism and indifference to the needs of people. At the same time, they emphasize personal involvement of president Putin in lives of ordinary citizen (watch the last edition of a new program “Moscow, Kremlin, Putin”). One of the narratives that is strongly promoted on the state TV stations is a rethinking and reassessment of the events in recent Russian history. Thus, the period of the 90s is being labeled as one of the worst periods in it, when “traitors” and “thieves” usurped the power in the country with the sole purpose of enriching themselves with disastrous consequences for ordinary citizens. Some talk shows used as a reference and a starting point for discussions the new TV serial by Sergei Ursuliak “Nenastye” (‘Bad weather’) that was released last week on RTR and portrays the terrible realities of this period. At the same time the Soviet period, while being mildly criticized, is seen, in retrospective, as a more positive time for the Russian people. The soviet war in Afghanistan is also being re-evaluated giving way to a different narrative that simultaneously glorifies the Russian soldiers who successfully fulfilled their military mission and puts blame on the Soviet and a successive Russian government in the 90s for betrayal of national interest and of Afghan allies. For many experts, the lessons of Afghanistan were learned and allowed success of Russian engagement in the Syrian war. The tone regarding Russian successes on the international arena sounds a bit self-congratulatory: hosts and experts praise Russia for saving its ally in Syria; for strengthening relations with allies and reaching out to old enemies; for crafting Russia’s image as predictable and solid partner. Some TV presenters and experts suggest that Russia should expand its international activities, for example, engage in mediating theIsraeli-Palestinian and other regional conflicts, as it is the only country whohas good relations with all regional players. This attitude goes hand in hand with gloating at US mistakes and embarrassing situations, like in the case of Khashoggi affair. Thank you for your interest in the blog. Have a great day. That was the major topic that was discussed on Russian TV-channels. “Pervyi kanal” (‘First channel’) and RTR-Planeta, two largest and most influential TV stations in Russia, dedicated hours of reporting, commentary and political talk-shows to President Trump’s announcement on US withdrawal from the Intermediate-Range Nuclear Forces Treaty. The visit of John Bolton to Moscow and his meetings with Russian leadership to discuss this decision got the title “The bad news” at Dmitry Kiselyov’s weekly program “Vesti nedeli” (October 28). The central narrative and arguments presented on these two state channels, as well as in many newspapers, go like this: Russia believes this agreement is an important part of the global security architecture. The agreement may have some problems that should be fixed and some Russian officials, like Sergei Ivanov, former Russian Defense Minister, expressed in the past their willingness to modify it. However, President Trump’s announcement came without any consultation and was based on unverified accusations on Russian violations of the treaty. Many Russian experts have warned that with American withdrawal from INF, announced 16 years after US withdrawal from ABM treaty, the arms control system is on the brink of total collapse. The American counter argument about the need to deal with new challenges emerging from China and other countries was rejected by many experts who reminded that the same argument was promoted by the Obama administration before deployment of the US missiles in Central Europe, supposedly against Iranian threat. Beyond the factual arguments, the tone of the discussions on these channels was somber and extremely alarmist. A few participants, like Vladimir Zhirinovsky, head of LDPR party and a veteran populist leader, talked about fast approaching nuclear war between Russia and USA. Other experts agree that there is a real urgency and a threat on Russia and called on Russian leadership to respond to American decision by preparing itself to a war. It should be noted that the US perspective was also presented on these talk-shows by American experts of Russian origin - Nicolai Zlobin (on RTR) and Dimitry Simes (On Pervyi kanal). But the attitude of most of the speakers was openly negative to the US (which is a common feature for majority of the Russian media and political elite - see below more on that). Non-state TV channel, Dozhd (TV Rain), who regularly criticizes Russian government, also dealt with this issue but in a different tonality. While not supporting American decision to withdraw from INT, it emphasized the need for a realistic position that will consider Russia’s conditions and will avoid a new arms race that will be detrimental to Russia’s economy. The latest development that have caused a wave of indignation in Russian media was the pronouncement of the Patriarch of Constantinople Bartholomew in favor of the autocephaly of the Ukrainian Orthodox Church. This decision was received as another affront of the Ukrainian leadership that was immediately accused by Russian officials in instigating religious war and using religious war for political confrontation. Speakers, as well as hosts on Russian talk-shows don’t bother to hide their openly hostile attitude towards Ukrainian government and politics which is applauded by the audience in studio (“Vecher with Vladimir Solovyov”). Ukrainian government is being accused of antisemitism and support of Nazi-style Ukrainian nationalist organizations. Comparisons to Nazi Germany don’t stop there. Thus, one of the speakers, Yaakov Kedmi from Israel, called Kurt Volcker, US special representative to Ukraine, “the Gauleiter of Ukraine”. According to the Russian media, US administration stands behind this pronouncement of Bartholomew, as part of its policy of weakening Russia. - NATO’s Arctic drill, “Trident Juncture 18”, with 50,000 troops, 140 aircraft and 70 ship simulating a response to an attack from the north was widely covered by the media. In this context, Russian military observers and experts warned about unprecedented military activity along the Russian borders since the end of the Cold war. This opinion is shared by both state-controlled and independent media (Pervyi kanal, Ezhednevnyi zurnal news site). However, unlike state media, independent newspapers tend to accuse Russian policies for tensions between NATO and Russia. - On October 31 in Moscow started the 6th World Congress of compatriots living abroad – an effort by the Russian government to strengthen relations with Russian diaspora around the globe. According to the Russian media there are about 127 million people who belong to the “Russian world” (which is almost equal to the population of Russia today, 141 million people). 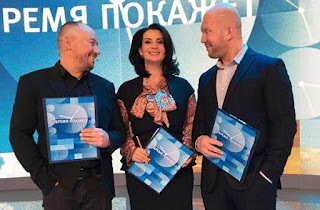 The talk-show “Bolshaya Igra” (‘The big game”) discussed the major problem of the Russian diaspora today – Russophobia, that is being actively promoted in media and by political elites in many countries, but mostly – in Ukraine, USA and Baltic states. - The tensions between Chechnya and Ingushetia, two autonomous republics in Northern Caucasus, was reported primarily by non-state media: TV-Rain, Kommersant, Novaya Gazeta, Echo Moskvy and others. The reports focused on ongoing mass protests in Ingushetia against the agreement on swap of territories between the republics signed by their respective leaders, Ramzan Kadyrov and Yunus-bek Evkurov. - Civil war in America is imminent, that was a headline in numerous newspapers and TV channels in Russia last week. The media cited an article by Niall Fergusson who discussed this possibility in The Globe and Mail (the name of Fergusson's article is “The US nears its boiling point”). - The decision by NBC to fire Megyn Kelly over racist remarks was also widely reported in Russia. This story got an unexpected twist when Kirill Kleimenov, the host of the news edition of the First channel invited Kelly to be his co-host, and called her “our favorite American talk show host”.